These prices include the 3% + $.30 transaction fee that PayPal charges us. IMPORTANT: Be sure to include the name of all registrants in the notes section on the payment page. That will help us match the completed registration form to the online payment. Thanks for your help! Open to anyone who has not previously held a regular USFS membership. This would include those who have previously held a USFS Basic Skills membership. Be sure to include the skater's name in the notes so we can match the payment to the form. Thanks! A full USFS skating membership for one skater and one parent. At least one parent is required to join the club and the member parent has voting privileges. Open to one additional family member of those who have a regular membership. 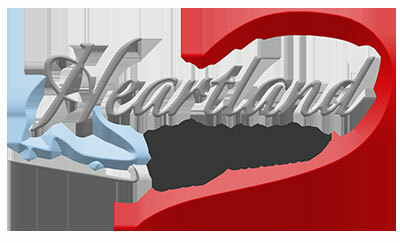 Open to a parent of a Heartland member who has a full USFS membership. A full USFS skating membership for one skater 18 years of age and older. Open to coaching professionals only. Must be a full member in good standing with the PSA and registered as a USFS coach. Open to coaching professionals as listed above who do not list Heartland FSC and their home club. Open to non-Heartland home club member. Four year full skating membership open to a skater enrolled full-time in college.